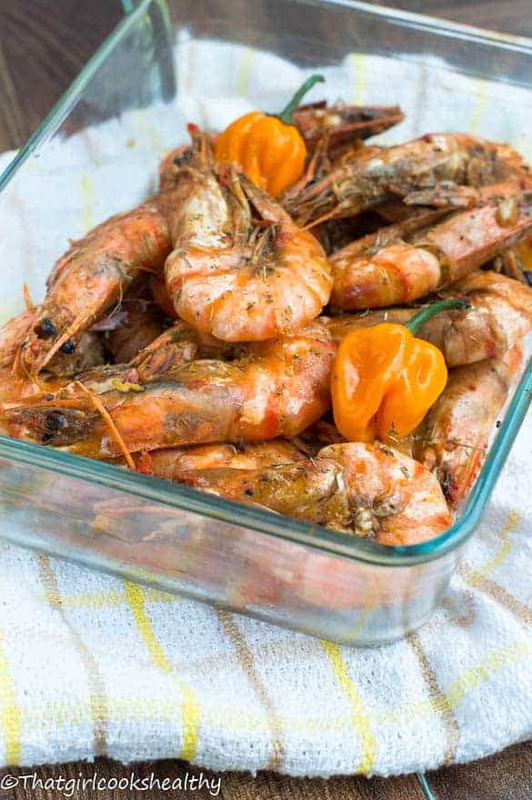 Jamaican hot pepper shrimp recipe – Bringing some hot, peppery shrimp-tastic island style seafood to your house for all the family to enjoy. If you’re a fan of Caribbean cooking and hot food then look no further because you’re in for a treat with this dish. 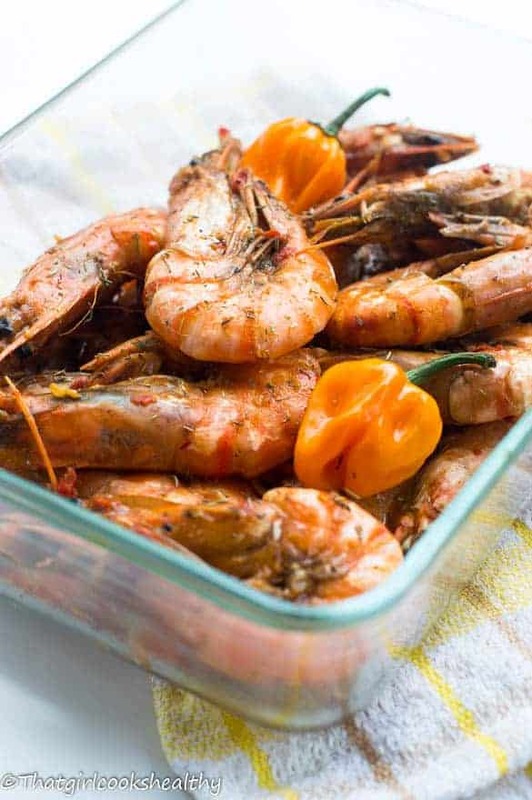 Jamaican hot pepper shrimp aka pepper prawns is fiery and packed with flavour, providing the correct amount of seasoning is applied. How much shrimp will I need to make the recipe? You need need a total of 1lb of shrimp to make this recipe. Don’t forget to wash end devain the each shrimp before starting any cooking. Speaking of which, devaining shelled shrimp can be a little tricky when scooping out the intestinal tract. I have had my fair share of frustration, but you see peppered shrimp is traditionally prepared with the shell in tact. In order to remove that intestinal tract simply use a tooth pick and insert from the tail end and gently tease it out, the entire thing should slide out – no fuss. How much water is required to cook the pepper shrimp? Approximately 1/4 of a cup should do. I know some people have a tendency to over saturate the shrimp with water once they’re in the dutch pot, in my personal opinion this literally kills the flavour. You’re probably wondering what I’m referring especially if you’re never had/made Jamaican hot pepper shrimp but the flavour/heat should be locked in the shrimp. Don’t fret about sealing in the flavour as my recipe will hopefully guide you through the entire process with ease. It’s not a difficult dish to prepare and the results are truly divine, believe me when I say that. I do recommend cooking shrimp with shell on and the head attached. Again, this simply heightens the depth of flavour. 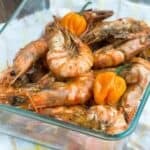 What ingredients do I need to make the pepper shrimp? You’ll need about 3 scotch bonnet to suffice the heat. I know some of my readers will be dying to try this with no access to Caribbean peppers. If this the case, alternatively, you can substitute scotch bonnet pepper with habaneros instead. 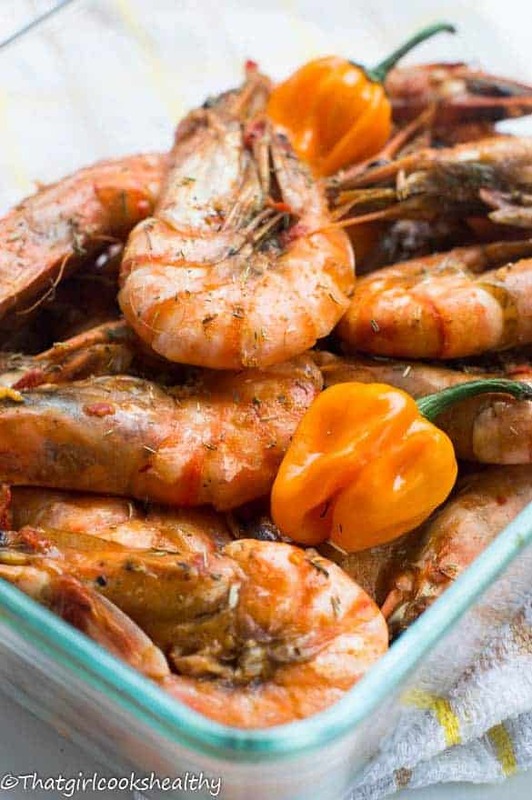 For the most part, you will need to prepare the ingredients to infuse the shrimp before hand – I used a combination of fresh and dry condiments – onion powder, garlic powder, black pepper, fresh garlic cloves, himalayan pink salt, allspice, sweet paprika and thyme (I like to add additional thyme to many Caribbean recipes). Just allow it to penetrate for an hour or so, not several hours, that’s not necessary. Use a heavy duty pot like a dutch pot (aka dutch oven) to cook the shrimp in a very small amount of water. The key is to cook the shrimp for no more than 1o minutes with with the lid on the pot so it cooks via steam. Shrimps can quickly turn into a rubber/tough texture, I’m talking about a matter of seconds. Despite using uncooked shrimp please be mindful of overcooking them. Some people add food colouring to their shrimp to get that red hue but I like to keep myself additive so skip this. Can I use frozen or cooked shrimp instead? Want to try more Caribbean fish recipes? Squeeze and rub the juice of a lime over the shrimp and rinse with water. Use a toothpick to tease out the intestinal tract from the tail end of the shrimp and discard. Also remove the antennae and legs (optional) if you wish. 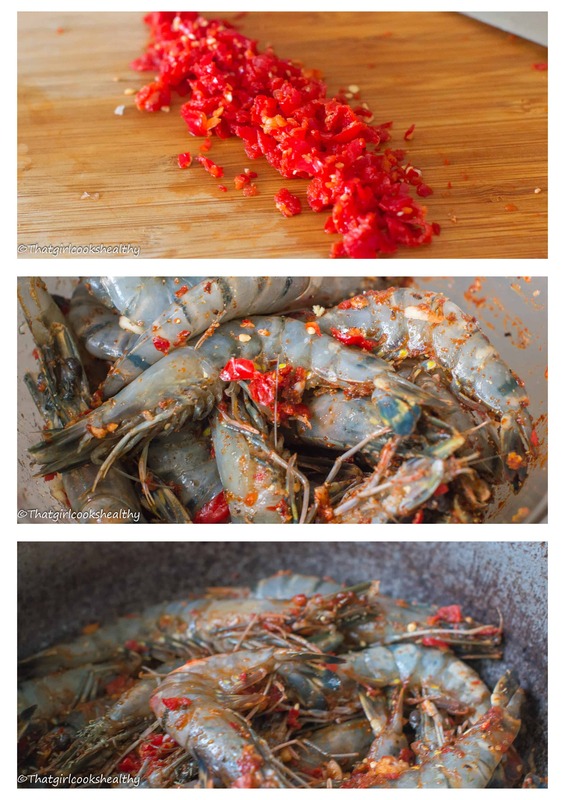 Coat and rub the entire ingredients into the shrimp and leave to infuse for an hour. Preheat the dutch pot with 1-2tbsp of coconut oil on medium heat. Using a slotted spoon lower the shrimp into the pot and stir for 2 minutes. Add the 1/4 cup of warm water, cover lid and leave to gently steam for 10 minutes. The shrimp be pink and ready to eat – the sauce of the shrimp should thicken as it cools. Once ready serve immediately to prevent change in texture of shrimp from reheating. Thanks so much for this …. Love this! Thank you so much for this. Aww thank you so much. I hope your wife likes my blog. Hi Keisha. I personally haven’t tried it but I think it should work just fine. Enjoy!